This morning I went to Westminster to meet Andrew Bridgen MP along with two of his constituents, Steve and Vas, who have written a book, ‘All I ever wanted was to be called Mom”, about their experiences of fertility problems and treatment. Steve and Vas had a really awful time going through treatment, and said that writing the book was almost a kind of therapy. Steve wrote the major sections of the book, with Vas adding her voice and telling her story as they went along. Steve and Vas did eventually have a happy ending, and their lovely son was with them when I met them this morning – but they went through a lot of heartache to get there. Steve and Vas really want to help raise awareness of the impact fertility problems can have and it is great when people feel able to speak out about what happened to them to allow others to see how devastating an experience infertility can be. Thanks Steve and Vas – it was lovely to meet you! 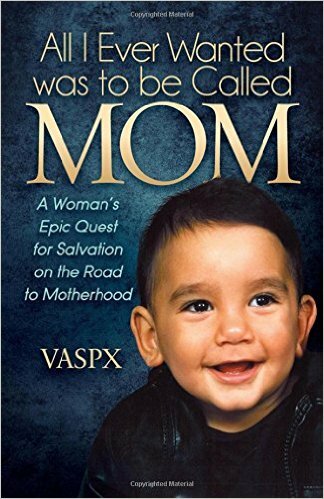 This entry was posted in fertility, infertility and tagged All I ever wanted was to be called Mom, Andrew Bridgen MP, fertility, infertility, IVF, Steve and Vas, Steve Petrou by fertilitymatters. Bookmark the permalink. The pleasure was all ours Kate. Thank you for taking the time out of your busy schedule and meeting with us, God Bless. The pleasure is all ours Kate. Thank you for taking the time out of your busy schedule to meet with us.God Bless.